The girl he is accused of killing was just 18. The two were friends. Our Palm Beach manslaughter defense attorneys understand the boy is facing a second-degree felony charge that could put him in prison for up to 15 years. It’s a tragic story and unfortunately, regardless of the criminal trial outcome, there are no winners. What we strive to do is ensure your rights are protected. We know that prosecutors tend to get overzealous in these cases because it’s easy to want to blame someone. We know that the survivors in such an incident will be serving a life sentence no matter what, as the memory of such an awful event will haunt for many years to come. In this case, the crash occurred in February, though the defendant is just now being charged because it took this long for investigators to process the laboratory results for toxicology as well as the crash scene recreation. We know that without question, the 19-year-old was behind the wheel when he reportedly drove through a residential neighborhood in Lantana and struck a palm tree. The impact of the crash left the driver with minor injuries. However, the 18-year-old girl, a back-seat passenger, was killed upon impact. Crash investigators say that as they’ve had a chance to analyze the evidence, it appears the crash was preceded by the driver traveling at speeds of 80 miles per hour in a 35 mph zone. He reportedly drove through a stop sign. Perhaps panicked by his unlawfully passing through the intersection, investigators say the driver swerved right. This caused him to lose control of the vehicle, sideswipe a palm tree and then strike a second palm tree. The impact of this rapidly spun the car and caused both the girl and another 18-year-old passenger, a male, to be thrown from the vehicle. The other male was well enough, apparently, to leave the scene and run to his home nearby. It’s not clear why he fled. Paramedics arrived to find the girl dead. The driver and another 18-year-old female, were both transported to a local hospital. Officers said they noted the smell of alcohol on the young driver’s breath. A blood test of the driver taken at the hospital returned a blood-alcohol level of 0.089 percent. In Florida, a person is legally over-the-limit if his blood-alcohol level is 0.08 percent. However, that is only if the individual is over the age of 21. A driver under 21 is considered DUI if his or her blood-alcohol level is above 0.02 percent. 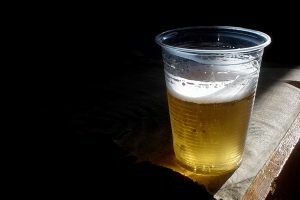 The toxicology results also reportedly returned the presence of marijuana in the young man’s system, causing investigators to conclude it was a combination of that plus the alcohol that led to the teen’s impairment. However, our defense lawyers would argue that blood testing of marijuana is not necessarily an accurate determination of intoxication. Just because marijuana is found in one’s blood stream doesn’t necessarily mean they are intoxicated at the time of the test, as the drug remains in the system much longer than alcohol. The teen was arrested on charges of DUI, DUI manslaughter and vehicular homicide. He is being held in lieu of $160,000 bail.